This list encompasses all rulers and leaders of what is today Ukraine, from ancient to modern times. The term "Ukrainians" is used according to the modern definition of "the inhabitants of the land Ukraine" not just those who identify with the ethnic group. This list includes only local rulers whose seat of power was located in the modern Ukraine and only the rulers whose power was derived directly from the people of the territory at the time, and does not include the governors who received their authority from some foreign powers (as during Lithuanian, Polish, Hungarian, Austrian, Russian, Czechoslovakian and Romanian overlordship). This is not a list of sovereigns. Throughout its history the territory of modern Ukraine had various forms of governance from monarchies to democratic republics. Scythia was a loose state that originated as early as the 8th century BC. Little is known of them and their rulers. Most detailed description came down to us from Herodotus. The shores of Crimea were settled by Greeks since the 7th century BC. The kingdom was established around 480 BC. It was ruled by three consecutive dynasties: Archaenactidae (480 BC – 438 BC), Spartocids (438 BC – 108 BC), and Pontids (108 BC – 16 BC). After Pontids the territory became a Roman client kingdom. In Eastern Europe the The Great Migration Period kicked off with the descent of the Goths from the Baltic region into the territory of modern Ukraine, about AD 200. They either took over or assimilated with the local Slavic tribes. The Goths were in turn pushed out by aggressively encroaching Huns, about 375. The Goths went on to conquer Southern Europe and the Huns moved to the Balkans and created a Hunnic Empire which lasted for a hundred years. After splitting of the Empire, some of the Huns moved back north in the territories of modern Ukraine and formed Patria Onoguria, now known as Old Great Bulgaria. In the 7th century Onoguria largely defected to Khazaria – an expanding Turkic state centered in the North Caucuses which controlled the Eurasian steppe until the 9th century. In 238, the Goths for the first time passed the Danube, and took to the Black Sea. The division of the Goths (Thervingi-Vesi and Greuthungi-Ostrogothi) is first attested in 291. The Balti dynasty, Balth(e)s, Baltungs, or Balthings, existed among the Tervingi ("forest people"), called later the Visigothi. The names of the Drevlyans and the Gothic Tervingi in Ukraine have often been adduced as parallels to agac-ari ("forest men" in Turkic). The Amali dynasty, Amals, Amaler, or Amalings of the Greuthungi ("steppe dwellers" or "people of the pebbly coasts"), called later the Ostrogothi. According to Zakarius Rhetor and Priscus Rhetor, Patria Onoguria was a vulgar statelet in alliance with Byzantium established in 463 around Azov having been forced west upon the Akatziroi by the Sabirs who in turn were being attacked. Its 7th century period is commonly referred to as Old Great Bulgaria (~600–~690). Sandilch (mid 6thC) in Southeast supported by Byzantium against Khinialon and Sinnion in Southwest, then Zabergan while Sarosius assists arrangement between Pseudo-Avars in North and Justinian I. Then Kagan Bayan controls the rest of Ukraine for most of the 60s until Sarosius assists Gokturks petition of Justin II to support a "true" Avar candidate in Patria Onoguria against the Pseudo-Avars. 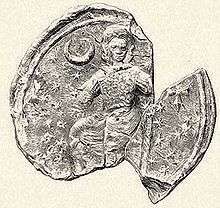 Kubrat (632–660) extended dominion of Great Bulgarian Onoguria into Pannonia placing Pseudo-Avars under Kuber in Sirmium. Batbayan ruled two years before being challenged and sent to Itil by his brother Kotrag who ensured Khazar rule over a loose confederation of tribal city-states from Kiev in the West to Bolghar in the Northeast and the Caspian Gates in the Southeast. Khazar Khaganate controlled much of what is today southern and eastern Ukraine until the 10th century. 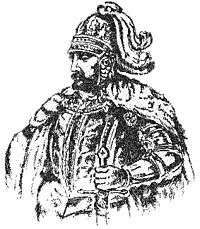 Kyi, a legendary founder of Kiev, a Slavic prince of Kuyavia, most likely eastern Polans 5th–6th centuries 482 ? 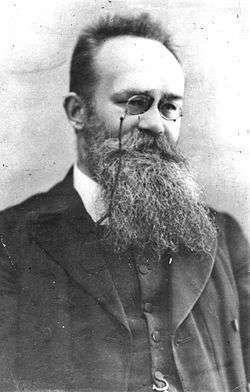 Oleg (Helge or Helgi), probably of Danish or Swedish origin, an apocryphal Kiev voivode, under the overlordship of the Khazar Khaganate 8th century ? ? The Rurikids were descendants of Rurik (Hrørekr), a Varangian pagan konung or chieftain, who supposedly was of haplogroup N1c1, which is common among Finno-Ugric peoples and not so rare in Baltic region. 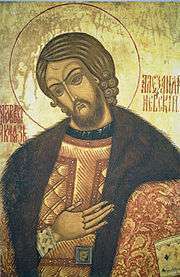 at least one son 879 Ruled as Prince of Novgorod. Founder of the family. Old Norse: Helgi Unknown 879-912 Unknown 912 Varangian kniaz of Holmgård (Novgorod) and Kønugård (Kiev). His relationship with the family is unknown. He was probably a regent, in name of Igor, son of Rurik. aged 78–79 Regent on behalf of her minor son, she was baptized by Emperor Constantine VII but failed to bring Christianity to Kiev. aged 29–30 The first true ruler of Rus' who destroyed the Khazar Khaganate and united all of the Rus' principalities under the Kiev throne. 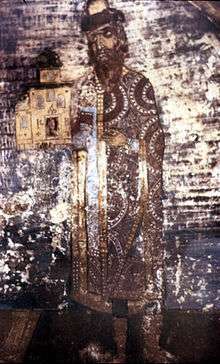 aged 57–58 His early rule is characterized by a staunch pagan reaction but in 988 he was baptized into Orthodoxy and successfully converted Kievan Rus' to Christianity. aged 75–76 Prince of Rostov, Prince of Novgorod, and Grand Prince of Kiev; during his reign Kievan Rus' reached the pinnacle of its power. 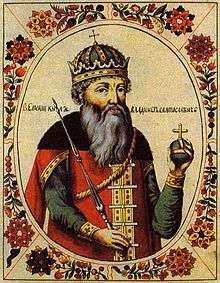 aged 53–54 Reigned three times, threatened by the power of his relatives Vseslav of Polotsk (1068–69) and Sviatoslav II of Kiev (1073-76). First King of Rus', Pope Gregory VII sent him a crown from Rome in 1075.
aged 61–62 A brief ruler during Iziaslav's official reign. Also Prince of Polotsk. 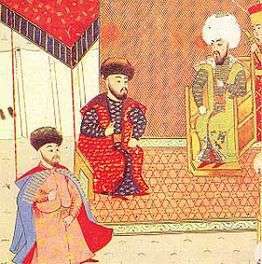 aged 48–49 A brief ruler during his brother Iziaslav's official reign. 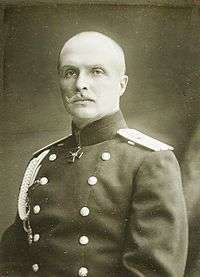 aged 62–63 Usurped the throne from his nephew, Yaropolk Iziaslavich. aged 62–63 As hereditary King of Rus (title assumed until his death), was a legitimate contestant for the throne, usurped by his uncle. aged 62 Recovered the throne of his father from his uncle. However, his descendants lost their rights to the Kievan throne. aged 71–72 He is considered to be the last ruler of the united Kievan Rus'. After the Council of Liubech in 1097 Kievan Rus' entered a feudal period and was divided into principalities ruled by the Rurikid family princes who were in a constant power struggle with each other. Major principalities were: Galicia-Volhynia, Kiev, Chernigiv, and Pereyaslavl. In the period of 1240–1362, the three latter ones were forced to accept the Golden Horde overlordship. 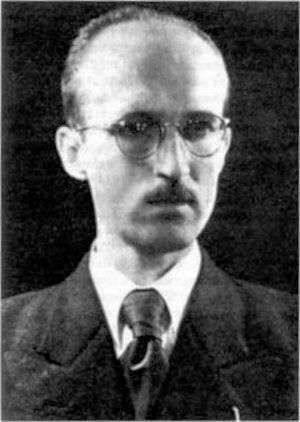 Volodymyr-Ivan Ivanovich ?–? 1301 ? 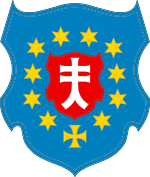 Since 1321 or 1324: Annexed by the Grand Duchy of Lithuania. 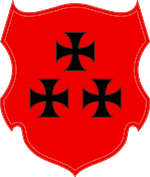 Galicia-Volhynia was a Ruthenian (Ukrainian) state in Galicia and Volhynia. Depending on the title of the ruler it was called either principality or kingdom. The first king, Coloman of Galicia-Lodomeria, was crowned in 1215, although the first nominal king of Galicia was Andrew II of Hungary, the son of Béla III of Hungary, who reigned from 1188 to 1190. In 1349, Liubartas lost all territories, except for eastern Volhynia, to Casimir III of Poland. 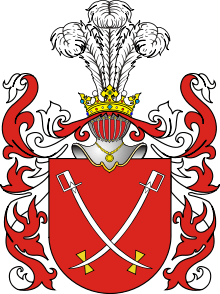 In 1366, a Polish-Lithuanian treaty was signed: eastern Volhynia with Lutsk retained under Liubartas' rule (the Grand Duchy of Lithuania), while Galicia, western Volhynia, and western Podolia were annexed by the Crown of the Kingdom of Poland. 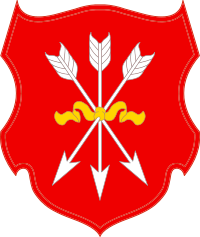 In early 1320s, a Lithuanian army led by Gediminas defeated a Slavic army led by Stanislav of Kiev at the Battle on the Irpen' River, and conquered the city. The Tatars, who also claimed Kiev, retaliated in 1324–1325, so while Kiev was ruled by a Lithuanian prince, it had to pay a tribute to the Golden Horde. 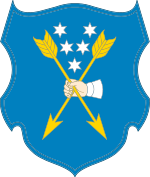 Finally, as a result of the Battle of Blue Waters in 1362, Kiev and surrounding areas were incorporated into the Grand Duchy of Lithuania by Algirdas, Grand Duke of Lithuania. 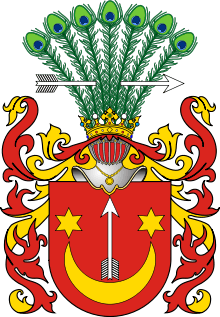 When the Polish-Lithuanian Commonwealth was formed by the Union of Lublin in 1569, Kiev and surrounding areas, Podolia, Volhynia, and Podlaskie, as the Kiev Voivodeship, Bratslav Voivodeship, Volhynian Voivodeship, and Podlaskie Voivodeship, were transferred from Lithuania to Poland. 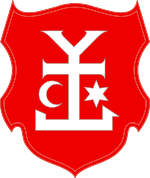 Crimean Tatars were not of the Ukrainian ethnos. Their Crimean Khanate ruled a large part of modern Ukraine, with a capital at Bakhchisaray. A Hetman was a military and civil leader, democratically elected by the Cossacks. Several Cossack regiments were operating in Ukraine at this time that were largely independent of each other, so some of the Hetmans' tenures overlap. Yuri Pats governor of Kyiv; organizer Cossack units. Bogdan Glinski Cossack leader, destroyer Ochakov. 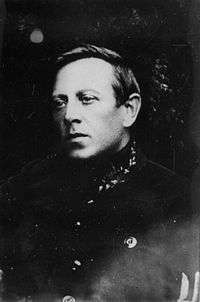 Senka Polozovych governor of Kyiv; Cossack leader. Dmytro Vyshnevetsky founder of the fortress at Minor Khortytsia. Andrush Moldavian boyar Cossack leader. Lukyan Chornynskyy Cossack leader, hetman. 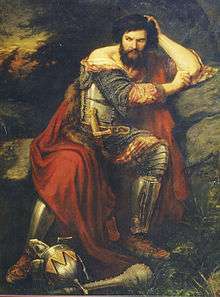 Samuel Zborowski Cossack leader, hetman. Bogdan Mykoshynskyy Cossack leader, hetman. Michael Ruzhinskogo Cossack leader, hetman. Kirik Ruzhinskogo Cossack leader, hetman. Zachary Kulaga Cossack leader, hetman. Bogdan Makoshynskyy Cossack leader, hetman. Matthew Shaul Cossack leader, hetman. Krzysztof Krempskyy Cossack leader, hetman. 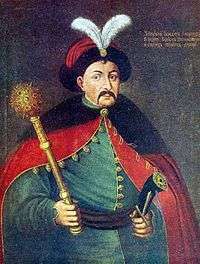 Krzysztof Nechkovskyy Cossack leader, hetman. Gnat Vasiljevic Cossack leader, hetman. Tykhin Baybuza Cossack leader, hetman. John Kutskovych Cossack leader, hetman. John Oblique Cossack leader, hetman. Gregory Izapovych Cossack leader, hetman. 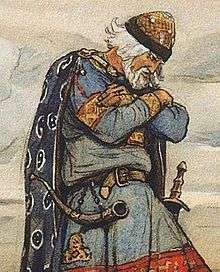 Olevchenko Bogdan Cossack leader, hetman. Dmitry Barabash Cossack leader, hetman. Yatsko Nerodych Cossack leader, hetman. Hryhoriy Chorny Cossack leader, hetman. Theodore Pyrskyy Cossack leader, hetman. Taras Fedorovych Cossack leader, hetman. Simon Tying Cossack leader, hetman. Andrey Didenko Cossack leader, hetman. Dorofiy Doroshenko Cossack leader, acting hetman. Ivan Sulyma Cossack leader, hetman. Basil Tomylenko Cossack leader, hetman. Pavel Mikhnovych Cossack leader, hetman. James Ostrainyn Cossack leader, hetman. Dmytro Hunia Cossack leader, hetman. Carp half-housings Cossack leader, hetman. Maxim Gulak Cossack leader, hetman. 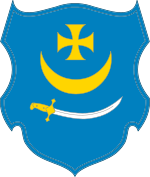 Following the Khmelnytsky uprising a new Cossack republic, the Hetmanate, was formed. The Ruin (1660–1687) was a time in Ukrainian history when the country fell into disarray and chaos. Afterwards, the Cossack state emerged as a vassal of the Russian Empire. During this period a number of hetmans stayed in power for short periods of time and often controlled only parts of the country. Moreover, the Treaty of Andrusovo (1667) split the Cossack Hetmanate along the Dnieper River into Left-bank Ukraine, which enjoyed a degree of autonomy within the Tsardom of Russia; and Right-bank Ukraine which remained part of the Polish-Lithuanian Commonwealth, at times (1672–1699) occupied by the Ottoman Empire. 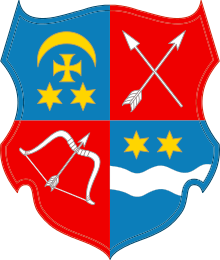 After the dissolution of the Cossack Hetmanate, a new Malorossiyan collegium was established in 1764, and the Zaporozhian Host was disbanded in 1775. As a result of the second and third Partitions of Poland in 1793 and 1795, eastern and central parts of Ukraine were incorporated directly into the Russian Empire. 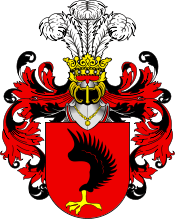 Western Ukraine was annexed into the Habsburg Monarchy earlier, in the following order: Carpathian Ruthenia (1526), Galicia (1772), and Bukovina (1775). The Russian Empire existed until 1917, and the Dual Monarchy, Austria–Hungary, existed until 1918. The Ukrainian People's Republic (UNR, 1917–1921) was formed after the Russian Revolution of 1917, and lasted until the Peace of Riga between Poland and Soviet Russia in March 1921. The leadership title varied and, despite a rather widespread misconception, none of them had the official title of president. 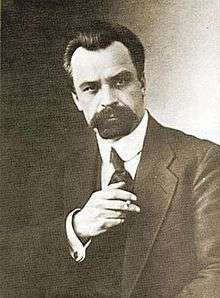 A very short lived Hetmanate was established by Pavlo Skoropadskyi in 1918. 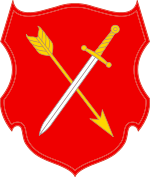 The government of the West Ukrainian People's Republic (WUNR) was proclaimed on 19 October 1918. 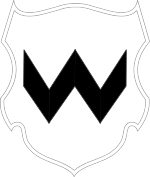 WUNR was united with the Ukrainian People's Republic on 22 January 1919, although it was mostly a symbolic act while the western Ukrainians retained their own Ukrainian Galician Army and government structure. 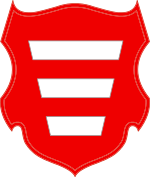 After the Polish-Ukrainian War (1918–1919), Poland took over most of territory of the West Ukrainian People's Republic by July 1919. 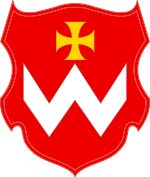 Since November 1919, the government of the WUNR was in exile. 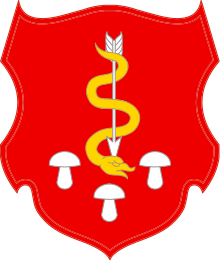 Ukraine was incorporated into the Union of Soviet Socialist Republics on 30 December 1922. 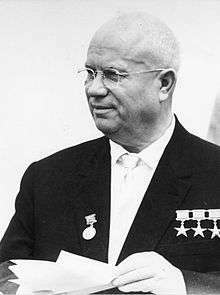 On 5 July 1991, the Verkhovna Rada of the Ukrainian SSR passed a law establishing the post of the President of the Ukrainian SSR. 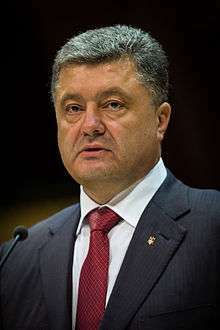 The title was changed to the President of Ukraine upon the proclamation of independence (24 August 1991). The first election of the President of Ukraine was held on 1 December 1991. 1 2 3 4 5 6 7 8 9 10 11 Dimnik, Martin. The Dynasty of Chernigov – 1146–1246. 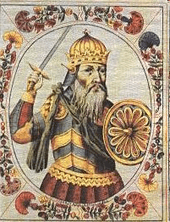 ↑ Other source suggests that Yaroslav II Vsevolodovich ruled from 1181 (. 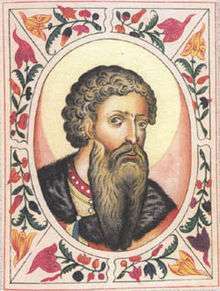 Retrieved 13 April 2009), but his brother Sviatoslav Vsevolodovich became grand prince of Kiev in 1176 and promoted him to Chernigov; Dimnik, Martin op. cit. p 137. 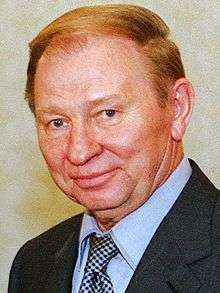 1 2 A number of historians claim Igor Svyatoslavich died in 1202 (. Retrieved 13 April 2009); he most probably died in the spring of 1201, because most chronicles place the news of his death as the first entry for the year; Dimnik, Martin op. cit p. 237. 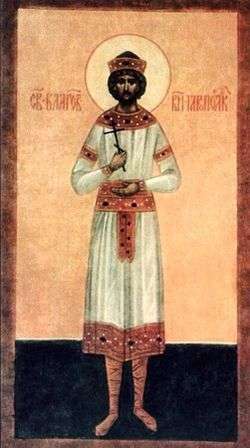 1 2 Some historians claim Gleb Svyatoslavich died in 1219 (. Retrieved 13 April 2009); he was last mentioned under 1215 and he died between 1215 and 1220; Dimnik, Martin op. cit p. 291. ↑ Under the year 1261, the chronicles report that prince Vasilko Romanovich of Volodymyr-Volynskyi gave away his daughter Olga as wife to Andrey Vsevolodovich of Chernigov. Based on this report, some historians claim that Andrey Vsevolodovich was the prince of Chernigov between 1245 and 1261 (. Retrieved 13 April 2009). However, the chronicler's identification of Andrey as a prince of Chernigov merely signified that he was an Olgovich (a member of the dynasty of Chernigov); Dimnik, Martin op. cit p. 380. ↑ The Lyubetskiy sinodik speaks of a certain "Lavrenty Vsevolod Yaropolchi"; R. V. Zotov suggests that Vsevolod succeeded Mikhail Vsevolodovich to Chernigov from 1246 to 1263(see also: . Retrieved 13 April 2009); the chronicles, however, do not support Zotov's assertions; Dimnik, Martin op. cit p. 380.